Recovering America's Wildlife Act would direct $1.3 billion per year of existing revenues (no new taxes) to state projects that benefit at-risk fish and wildlife. 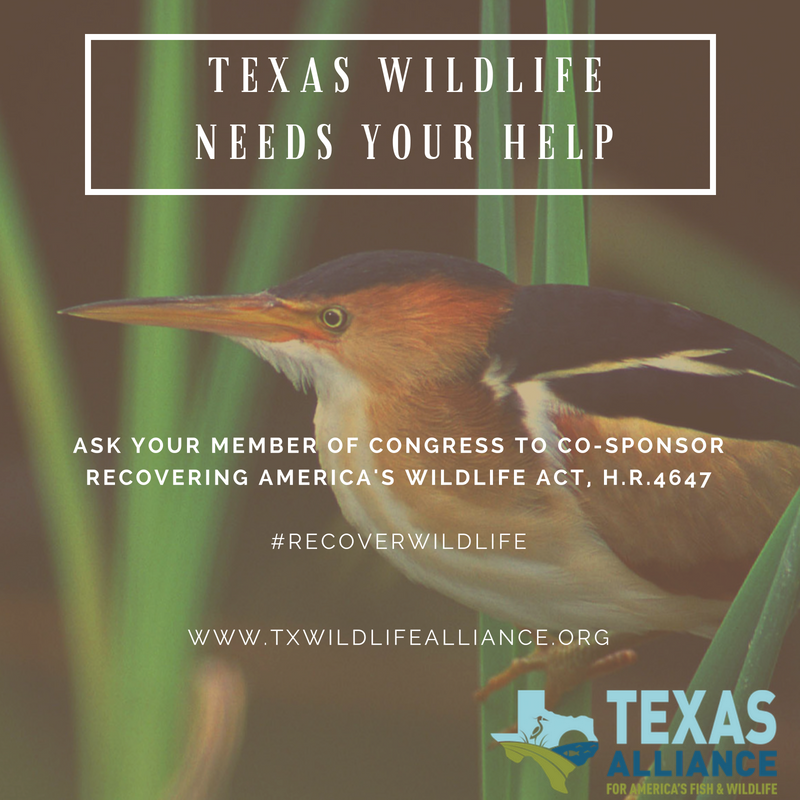 Texas would be eligible for more than $63 million annually to fund qualified projects conducted by state agencies, land trusts, conservation organizations, private landowners, and other groups. It's a bipartisan bill that was developed with input from national leaders in wildlife conservation, the oil and gas industry, sportsman groups and outdoor recreation. This legislation is a win for everyone - wildlife, business and all Texans through the benefits nature provides us.